One of the first gluten free products I remember trying and really enjoying was Nairn’s Cheese Oatcakes – I was actually obsessed with them. I used to pack them in my lunchbox and just eat them on their own, or sometimes I’d go for double the cheese and top them with some brie and red onion chutney. 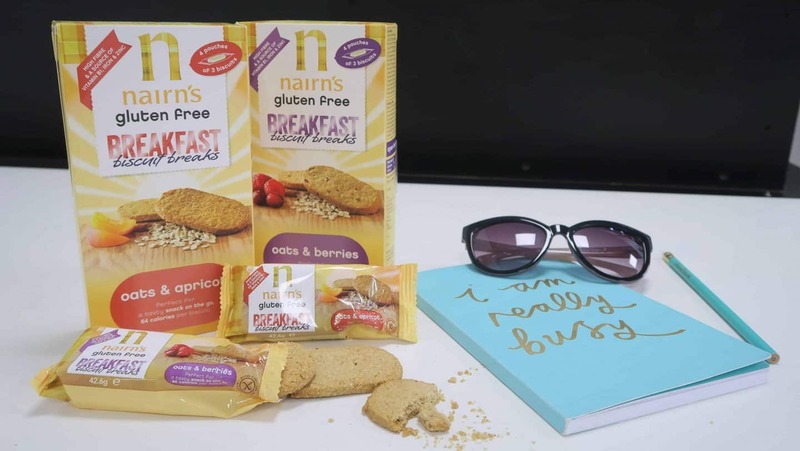 Nowadays, Nairn’s has expanded its range to include a whole host of delicious gluten free foods, from Breakfast Biscuit Breaks to Snackers, all as delicious as my first, glorious, cheesy oatcake encounter. 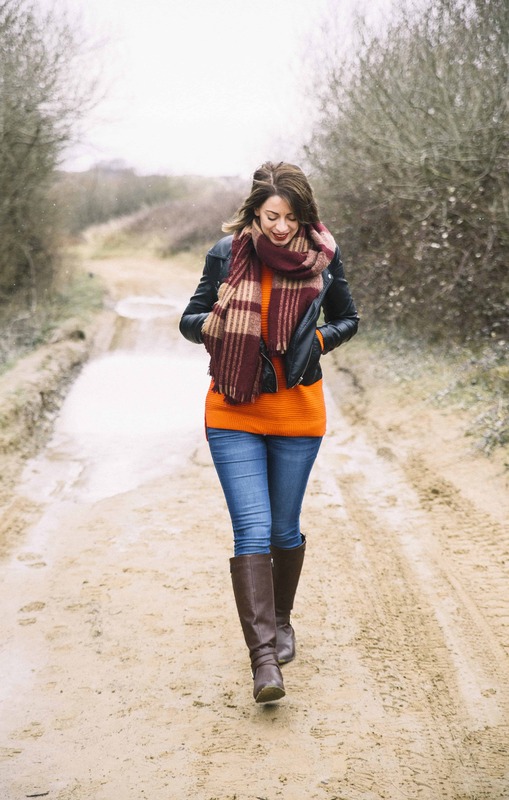 It’s a brand which has been with me since my earlier coeliac days, which is all the more reason I was so pleased when they asked to collaborate – as I love shouting about the products I eat and buy myself. 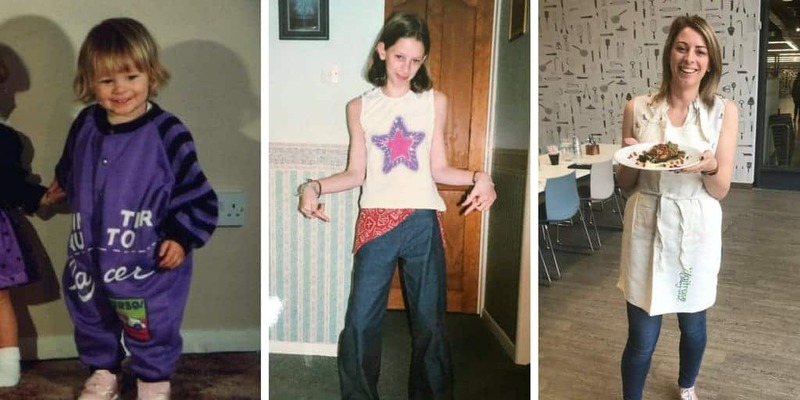 Many people think being diagnosed with coeliac disease means you have to miss out, but I simply don’t believe that is true. 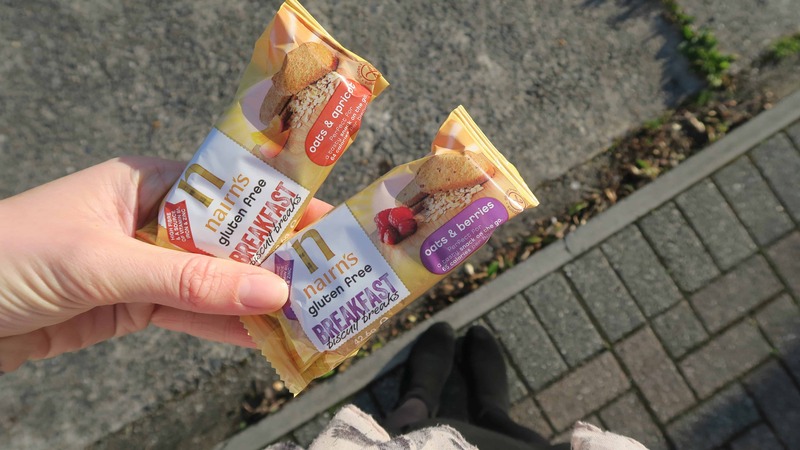 Yes, there are some things you cannot eat, but now it’s pretty easy to grab something on the go – and the Nairn’s Breakfast Biscuit Breaks are a perfect example. They come in either Oats and Berry or Oats and Apricot flavours (apricot is my absolute fave) in boxes containing handy little sealed packs. In my day job as a journalist I’m often called out to jobs and struggle to find something gluten free to eat, so I like to pop a pack of Breakfast Biscuit Breaks in my handbag, desk drawer or glove compartment of my car, so I know there’s something easy to snack on. The Nairn’s Breakfast Biscuit Breaks are high in fibre and relatively low in sugar, so it’s better than resorting to a chocolate bar which is often all you can find. I know these are designed for breakfast, but I’m a little bit backwards, and I really love having mine in the afternoons with a nice, milky coffee. You know when you’re in the office, you’re getting tired, staring at the clock waiting to go home, stuck in a 3pm slump? 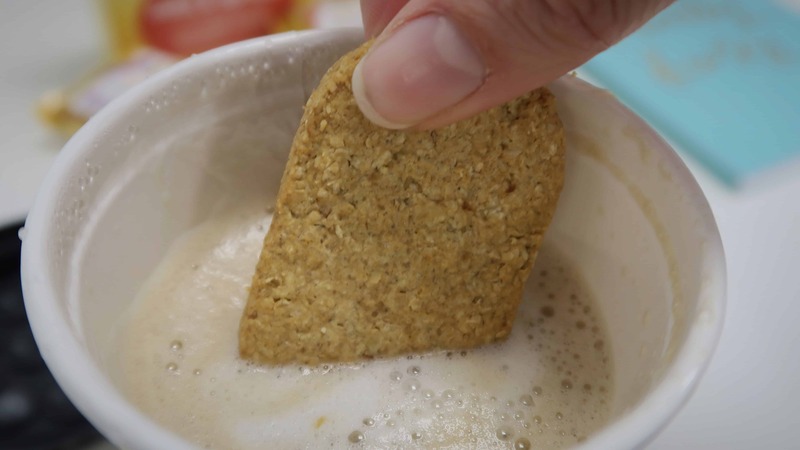 That’s when I love these the most – I get myself a coffee, crack open a packet of the Breakfast Biscuit Breaks (they are excellent for dunking) and it gets me through the rest of the day, full steam ahead! Nairn’s also have their main range of Biscuit Breaks too. These are available in four great flavours and are also great for dunking! I also love the little packets of new Nairn’s Gluten Free Snackers. They come in multi-packs of sea salt and balsamic vinegar, cheese (yes!) or smoked paprika, and are only 105 calories per pack. They’re a great alternative to crisps and full of flavour – again, these are great ’emergency snacks’ for your handbag, or if you’ve got the time, I absolutely love them dipped in freshly made houmous or guacamole. As well as being gluten free (they’re carefully sourced, farmed and milled to avoid cross contamination at all stages) they are baked and not fried and contain lots of vitamins – micronutrients are super important. They also provide slow release energy, which is great when you work long hours like I do! I find these are brilliant later in the day as I train in the evenings and often don’t get time to eat properly beforehand. The thing I like about Nairn’s is that when it comes to gluten free, they’re a brand you can really trust. 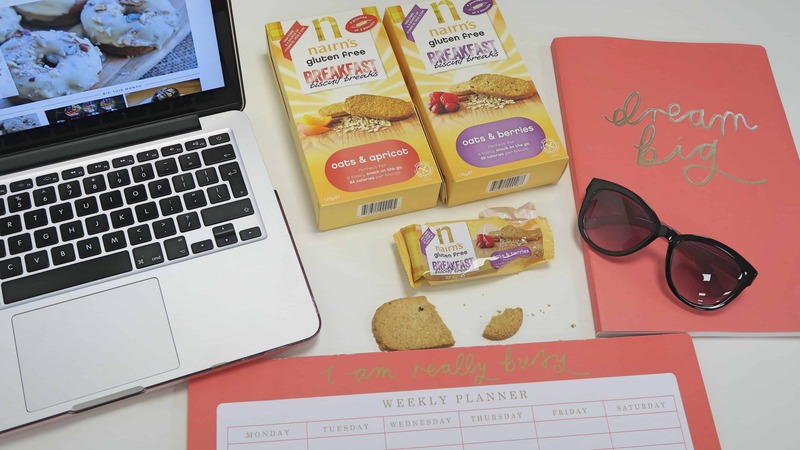 They’ve been in the Free From game since 2010 and have recently invested £6.5million into a bigger, state-of-the-art gluten free factory, so we can expect some exciting goodies – including their brand new Gluten Free Super Seeded Oatcakes which came out this month. They also produce a range of other products – I always buy their Gluten Free Scottish Porridge Oats and use them to make overnight oats for my pre-workout breakfasts at the weekend, or in my protein pancakes. 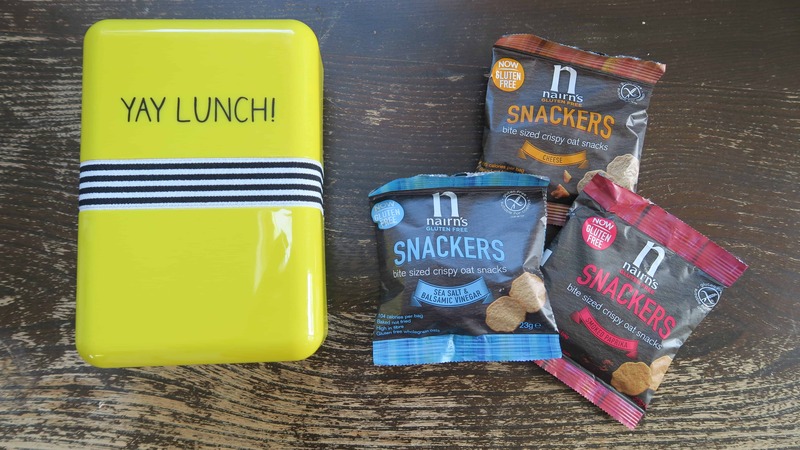 It’s great to be able to get hold of handy, portioned-package snacks which you can keep for emergencies, and know they are nutritionally better for you than most grab-and-go snacks. Have you tried any of the Nairn’s Gluten Free range? Which products are your favourite? Find out more about their full gluten free range on their website here. The Nairn’s Gluten Free Snackers are available in Sainsbury’s stores in single 23g bags at 40p. Also available in multi-packs (5 x 23g bags), RRP £1.85 from Morrisons. The Nairn’s Breakfast Biscuit Breaks are available from Sainsbury’s, Waitrose, Tesco and ASDA, RRP: £1.99. This post has been sponsored by Nairn's. I sometimes accept sponsored posts with brands I love and trust, but my opinions are always my own.